This time last week we were approaching the end of our week away in Porto Santo (which you can read all about here). Back home now, and with the piles of holiday laundry washed and neatly folded away (mostly), central heating on and spending lots of cosy night in in front of the TV, I have spent most of those dull everyday moments this week getting back into our normal routine, thinking back to our magical week away as a three. I look back at photos and I actually have tears in my eyes, thinking back to ourwonderful week away. I love looking back at photos and videos seeing how much fun LO had on his last holiday as an only child, but as with everything, it's always so bittersweet. It always feels like holidays go by in such a flash and it almost feels like you were never away. Going away on holiday is a funny old event. It is something we enjoy doing hugely and we do try to book a foreign holiday every year. It always feels like so much planning goes into it- finding the perfect destination and hotel, going on the obligatory shopping trips to find holiday wear, sunscreen and the necessary stash of toddler snacks for the flight. Then there's jobs like making arrangements for the pets to be looked after, and if you're anything like me, becoming a crazy cleaning freak in the 48 hours before departure, making sure the house is spotless top to toe. For me, I feel like I need a holiday just from preparing to go on one. But once you've endured the flight, collected your baggage and arrived at your destination, you take a deep breath of fresh sea air, and all of a sudden feel so utterly relaxed. In that one moment you realise just why you have spent all of your hard earned pennies on a week away. We really did just relax and enjoy quality time together. We enjoyed so many fantastic meals and it was wonderful having a week away from cooking, we forgot about all our worries and just enjoyed a week together as a three- our last holiday before we become a four in the new year. Even though our routine is totally different on holiday from our daily, sometimes mundane routine at home, we always manage to make some kind of little holiday routine that we like to follow each day. For us, this involved a morning walk to the sister hotel next door for a huge breakfast. We were always greeted by the same two friendly members of staff who gave LO a high five and played hide and seek with him. We are such creatures of habit that we pretty much ordered the same food every day too. The mornings in Porto Santo can sometimes be a bit misty and overcast, so we would go down for a walk along the beach and let LO roll around in the sand while Mr F and I we would build sand pyramids (mature, I know!). Of course, it wasn't a whole week of beach fun and splashing about in the pool. 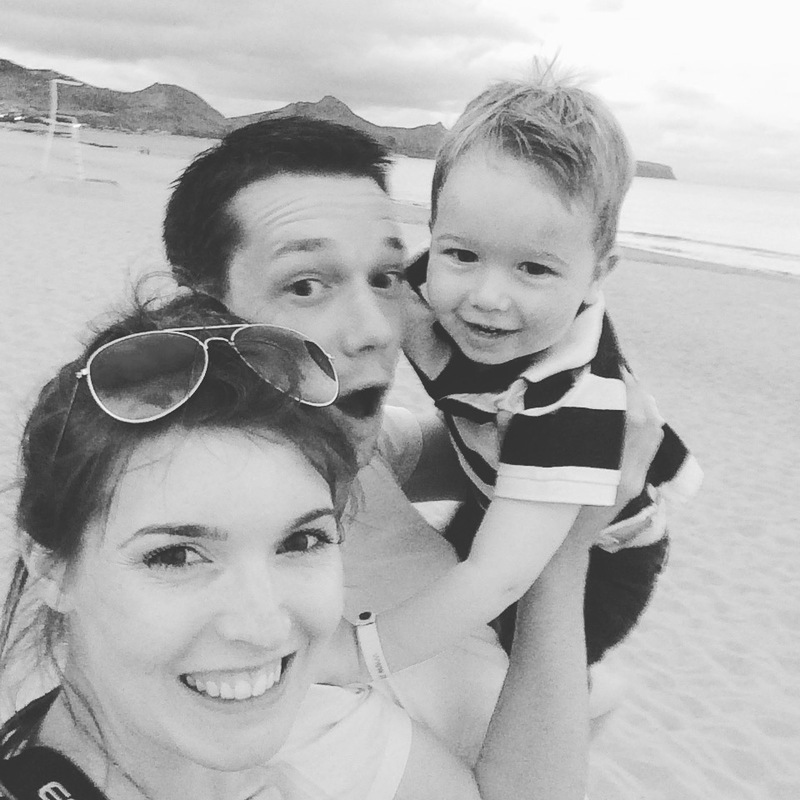 As with any holiday with a toddler we enjoyed our fair share of more mundane moments too- a good few hours of our holiday must have been spent on applying sunscreen, endless sandy clothes changes and a lot of time indoors watching episodes of Suits on the iPad while LO napped. But it was also nice for Mr F and I to enjoy a couple of quiet hours together each afternoon, beer in hand (non-alcoholic cocktail for me... rock 'n roll). It was the evenings I think I enjoyed the most though. 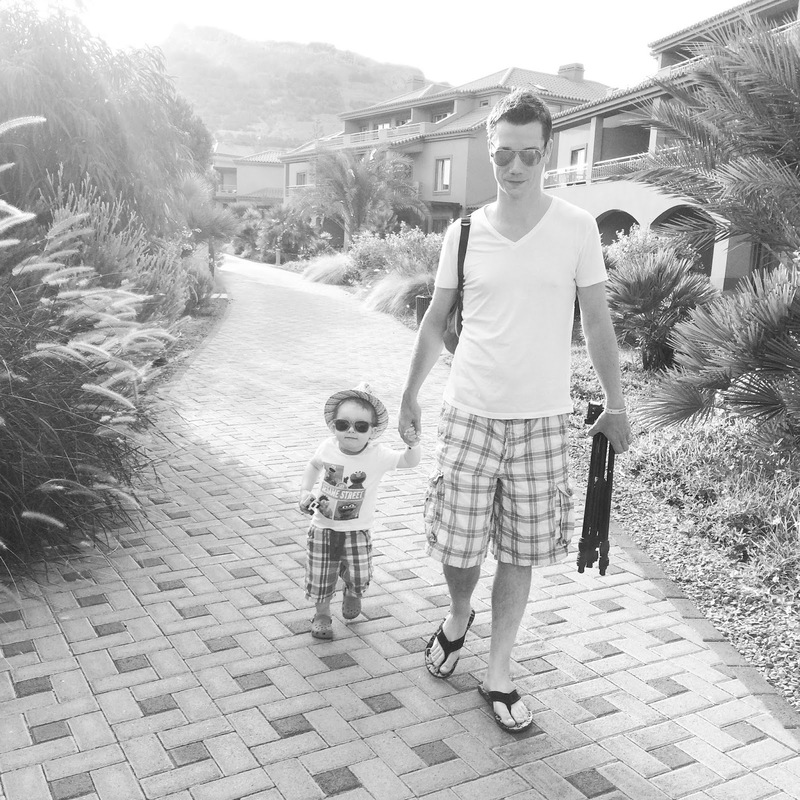 From getting LO dressed into his cute little outfits, taking outfit photos, walking in the golden sunlight down to the restaurants, LO hiding behind the same palm trees every time thinking we couldn't see him, being 'that' family with the camera that take thousands of photos of their child every evening... Mr F and I taking it in turns to go to the buffet to see what we could find for LO to eat which didn't involve potatoes, bread or ice cream and then the endless stream of desserts. My absolute favourite part of each day was our pos-dinner walks down to the beach. Normally completely deserted, we would race around, skim pebbles and just generally act like big kids in the sand. And of course, my camera always came along for the ride to capture these special moments. And now, with tans fading and a cold, windy Autumn truly here, we reminisce and chat to LO every day about our week away. 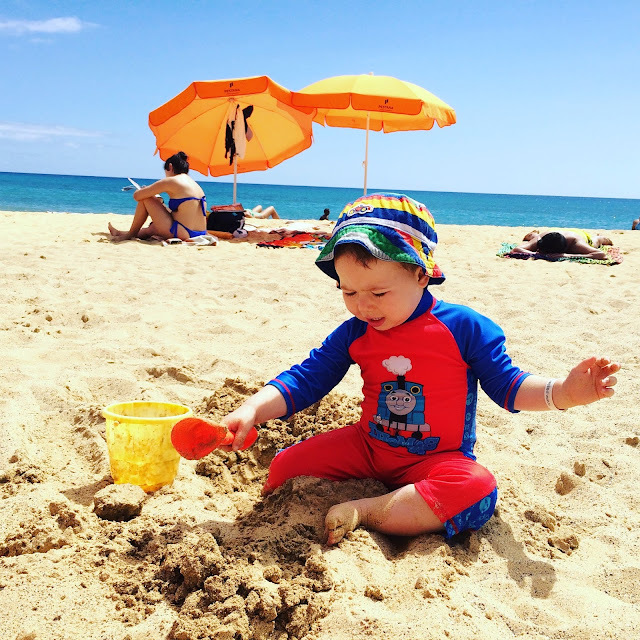 I don't know how much, if any, of our holiday he will remember, but in years to come, he can look back and see how much fun he had on our little holiday to Porto Santo. There'll be quite a few photos of our holiday on my blog over the next week or so but here's a few iPhone photos showing some of the ordinary everyday moments of our time away. We all loved our morning and evening walks from our room to the restaurants. 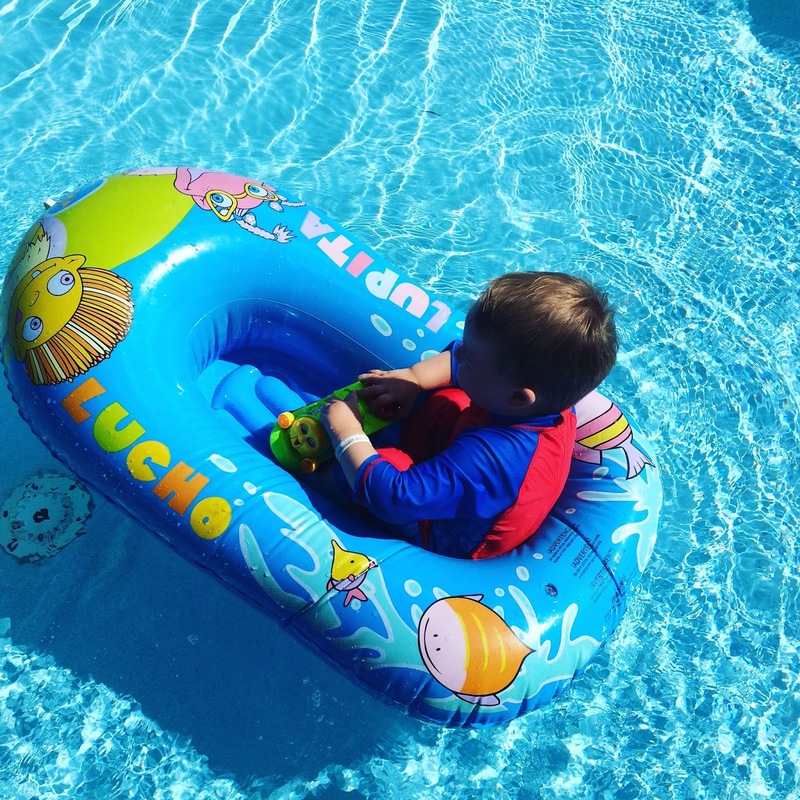 We found this inflatable boat by the kid's pool and LO spent much of the week floating about in it. I love every moment with these two whether we are at home or away. That's a lovely post, and I know you're going to enjoy having it there to look back on in years to come. 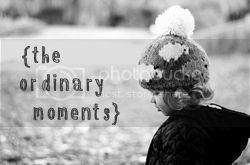 It's so easy for the ordinary moments to fade away.